Kulturbrücke, a cultural bridge of poets, painters, dancers, and sculptors from both Germany and the United States. 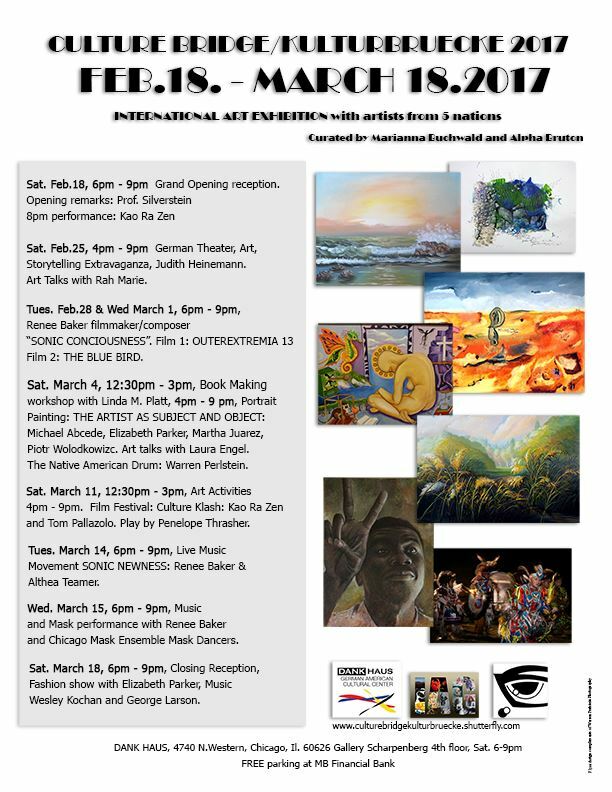 Curated by Alpha Bruton and Marianne Buchwald of International Art Group Chicago, the exhibit will feature a broad range of works with an intention to deepen cross-cultural ties. There will be a series of events that will entertain and stimulate thinking about how two cultures can create a dialog about what matters in the world of art. The events will be in German and English. Admission is FREE and open to the public.